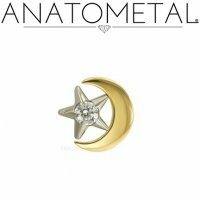 This Anatometal 18kt Gold Moon with Gem Star threaded end features one 2mm gem. and will fit 18 gauge, 16 gauge, 14 gauge and 12 gauge internally threaded posts. The Moon measures 6mm in diameter. The Gem Star welded inside the crescent Moon is 3/16" in diameter. The thread can be located on the Star or on the Moon. 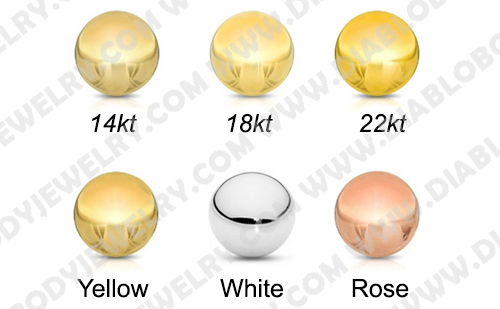 All Anatometal jewelry is hand polished to a mirror shine for a surface finish recognized as one of the best in the industry and the gems are hand-set without the use of glue or other adhesives. Available in a sterilized pack an additional $4.99.